The second part in our series about saving money. We all have to do with less disposable income in the current economic climate, so how can we stretch our money and still manage to pay all the bills? There are two choices, either increase your income or cut costs. The latter might be the easiest one. If you can do both that is great. A satellite TV subscription (DSTV) costs a lot of money depending on the package you are on. Do some soul searching and see if you can't move to a cheaper option, even if you have to sacrifice a bit. Really want to cut out PayTV, maybe look at some of the free to air companies. With a once of investment in the decoder you will be able to receive free to air channels. 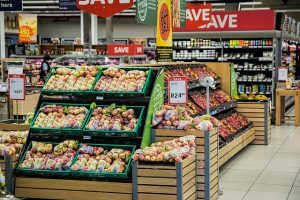 Many shops like Pick and Pay, Woolworths etc discount products when they are close to their sell by date. If you shop later in the day you will be able to get substantial discounts on food items which need to be sold that day, but which are still perfectly fine to eat or freeze for later use. The savings can be up to 60% in some cases. If you buy a high value item, first of all shop around for the best price and then don't hesitate to ask for an even better price or a discount, you will be surprised how many shops and sales persons are willing to give you a better price. You have nothing to loose so try and save. Planning for your grocery shopping saves you time and money. Prepare a shopping list at home going through your cupboards and fridges. Stick to your list and you won't buy impulsively. Having a shopping lists also reduces the change that you forgot something and have to return to the shops.